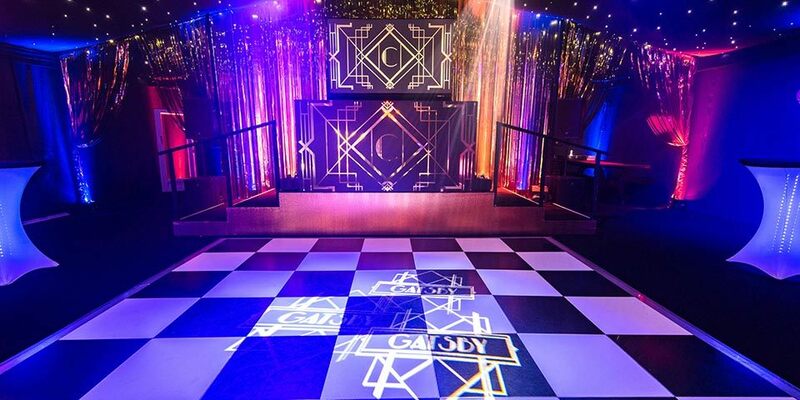 Recreating the Gatsby era for an 18th birthday party. 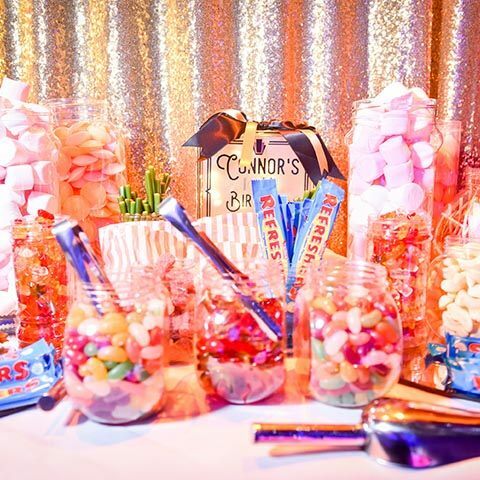 For this party, guests were given the VIP treatment. 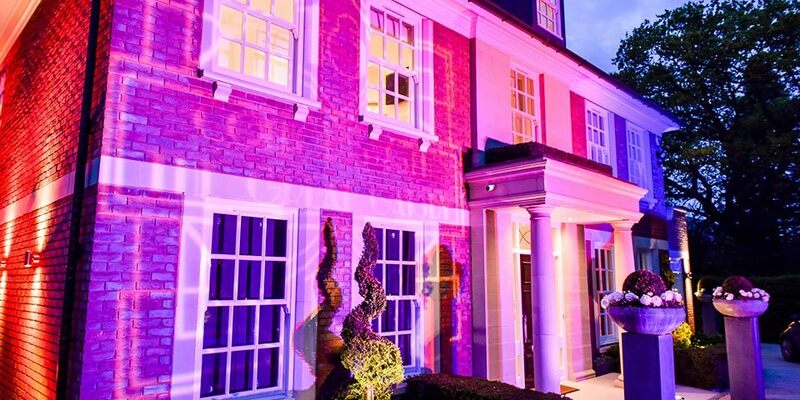 Arriving at the gated entrance of the birthday boy’s home in Cobham, Surrey, guests were immediately wowed by the sight of the house illuminated by outdoor wash lighting, before walking the red carpet to the beautifully lit garden where a marquee had been installed. 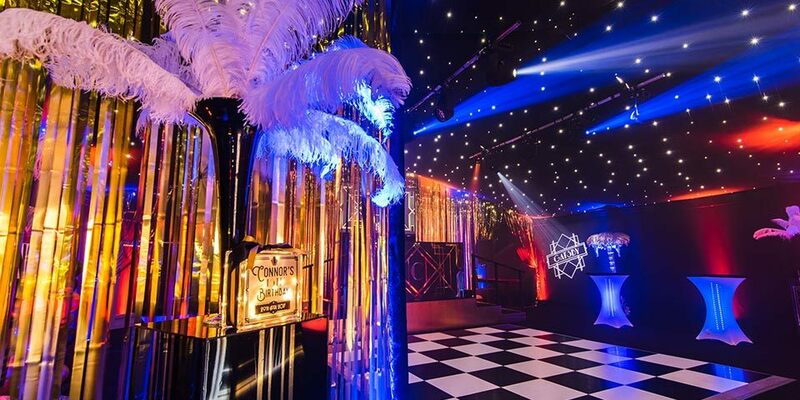 We transformed the marquee into a 1920s Art Deco-style environment, complete with black and gold tasselled curtains, plinths topped with feathers, palm trees and gold Chesterfield sofas. 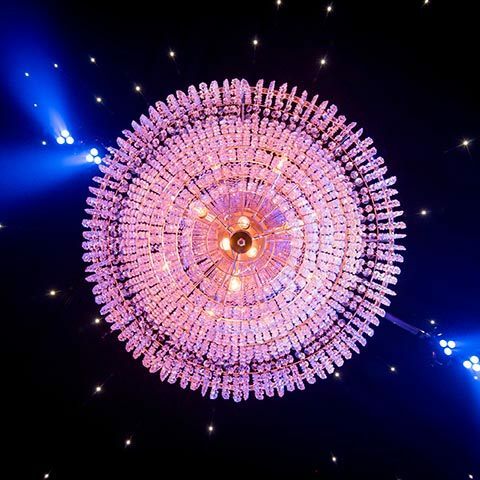 A large crystal chandelier hung from the ceiling, adding to the opulence, and we created a bespoke gold Gatsby stage set, which also provided space for a DJ booth. 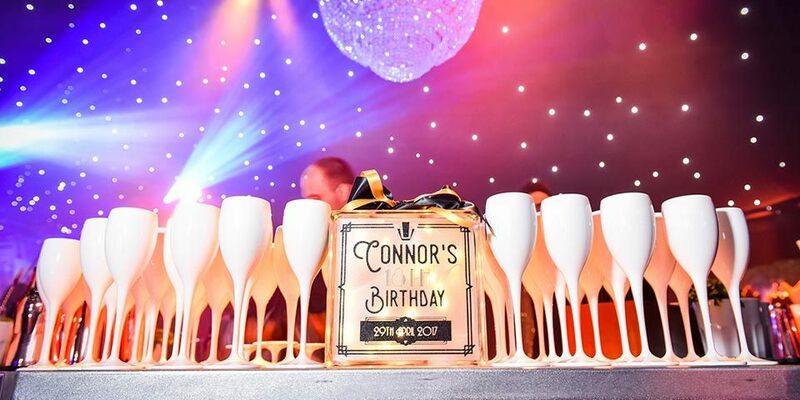 Along with a hexagonal shaped bar with Deco fascia, from where expert mixologists served cocktails authentic to the period, these features created distinct focal points. 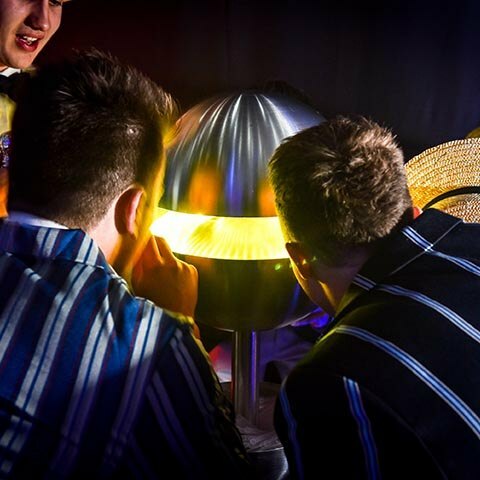 Lighting and sound were key to creating the party mood, and we utilised intelligent lighting and wireless LED uplighters, linked so that the effects changed in time with the music. 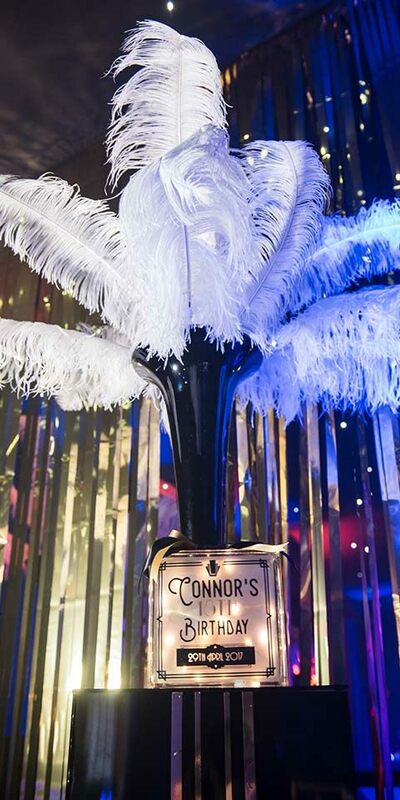 Gatsby dancers added glamour, champagne sparklers and confetti canons added to the atmosphere at appropriate moments throughout the evening, and a video screen displaying welcome messages, photography and shots taken during the evening ensured a very personal touch. And, for the ultimate in luxury, our pampered guests could enjoy comfort breaks without having to brace themselves for a chilly walk outside – a luxury toilet trailer was positioned at the rear of the marquee, disguised beneath a frame tent and then connected for easy access.